Ubud, Bali is swarming with scooters and that annoying honking sound seems almost constant. It’s loud, to say the least. But don’t get the wrong idea about Ubud. There are so many treasures in this unique town. 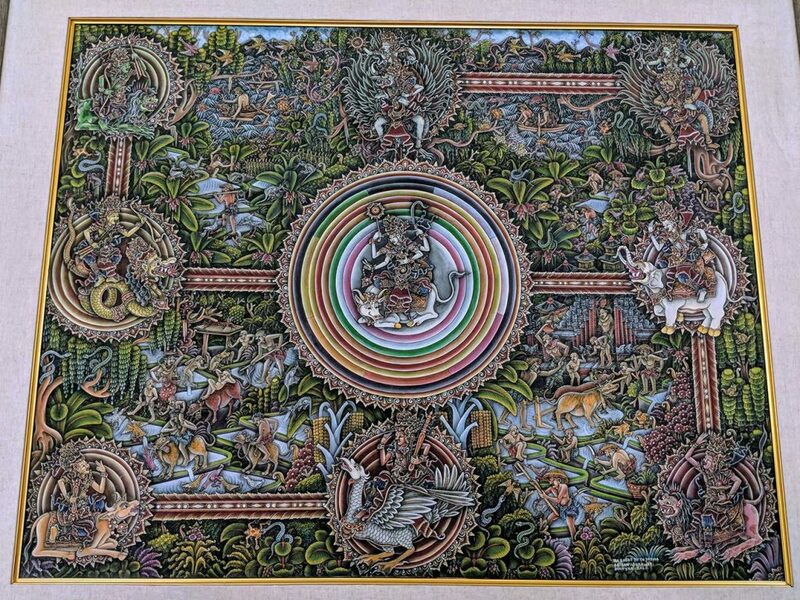 One of those treasures is the Ubud Monkey Forest. 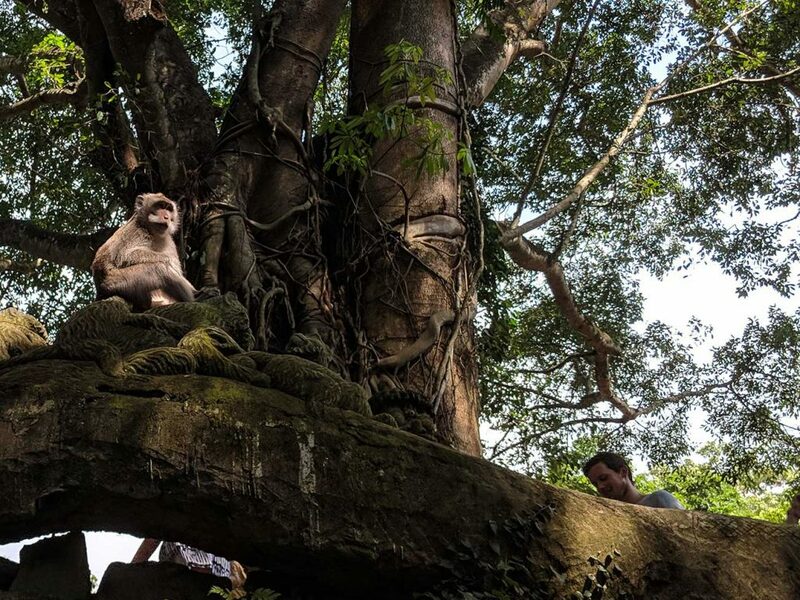 What is Ubud Monkey Forest? 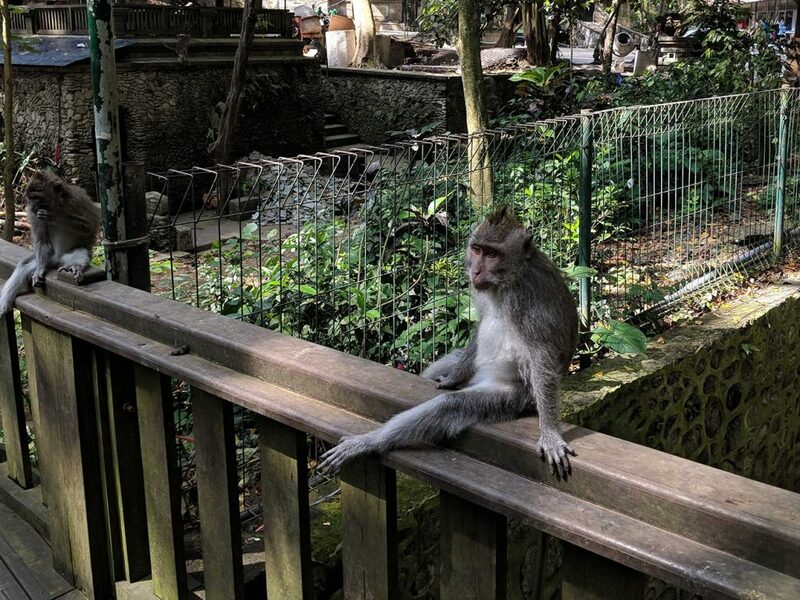 Sitting just off to the side of a hectic street, Ubud Monkey Forest boasts around 700 monkeys and 31 acres of sprawling nature that includes 186 species of trees. And these trees are massive! 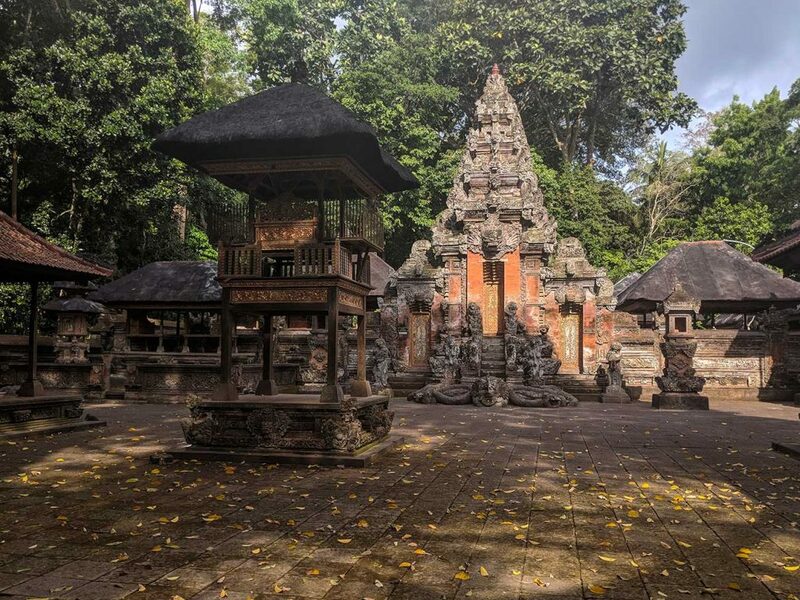 Once inside, you’ve forgotten about all of the hustle and bustle in Ubud and you are immediately transported into a beautiful forest that feels miles away. It seems that almost every blog we read beforehand talks less about how awesome this forest is and more about how you need to be cautious and watch your belongings. While we agree, watching your stuff is important, blogs sort of led us astray. Our research had made us so cautious that we were even debating about going on a different day because we had a purse and backpack on us. We were afraid the monkeys would steal everything. Once we arrived at the gates though it became obvious, Ubud Monkey Forest is a tourist attraction and there are many people walking through it with you. We visited in the off season but people were everywhere. The chances of a monkey interacting directly with you are slim. They mostly interact with the caretakers who work in the forest and we witnessed only one monkey jump on a person. The monkey played with the guy’s head for a little bit before moving on. Common sense works here. If you entice the monkeys then sure, something will probably happen. If you have food in your pockets or belongings, you’re going to have some monkeys all over you. Be smart. Keep to yourself, stay calm, and don’t mean mug them. You’ll be fine! The cost of entry is 50,000 IDR (around $3.30 USD). No complaints there! There are plenty of signs upon entry that explain how to behave while in the forest. You’re advised to keep personal things safe. For instance, don’t have sunglasses sitting on top of your head. The forest canopy is pretty dense so you won’t really need to wear sunglasses anyway. You’re also advised to not feed the monkeys certain foods or look them in the eye. Again, common sense is great here! 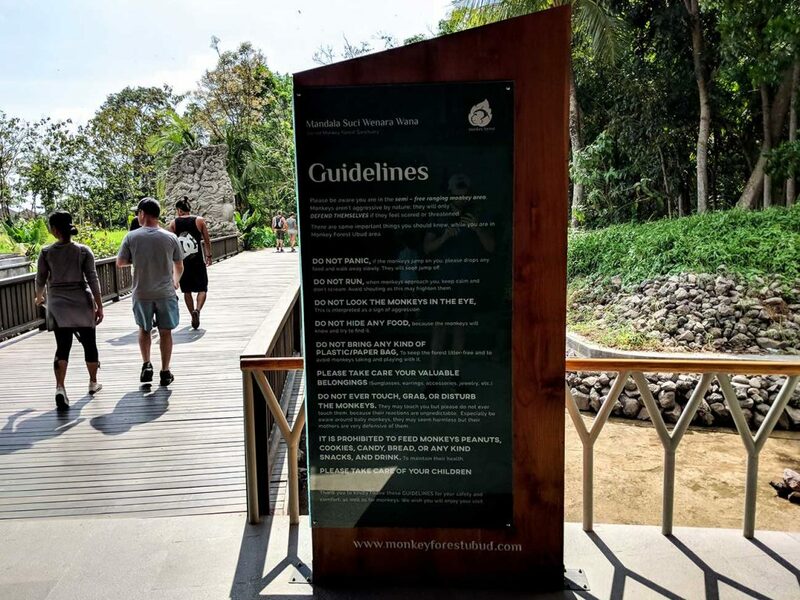 However, the forest offers bananas for sale so that you can feed the monkeys but be careful and don’t hide the bananas from them. The monkeys will probably know what you have and not think twice about trying to take them from you. After entry you trek through a tunnel with awesome carvings on the wall and then the forest is yours to explore! There are three temples throughout the forest, dating back to the 14th century. 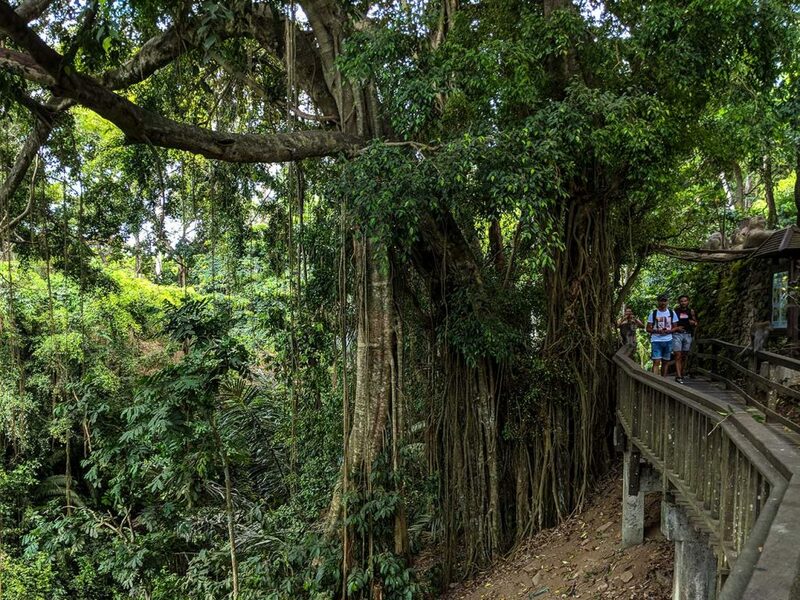 Trees tower over you, a stream flows below, and monkeys provide some awesome entertainment along the way. From quarreling amongst themselves, swinging from tree to tree, or helping pick bugs off one another, the monkeys can be quite hilarious and cute to watch. 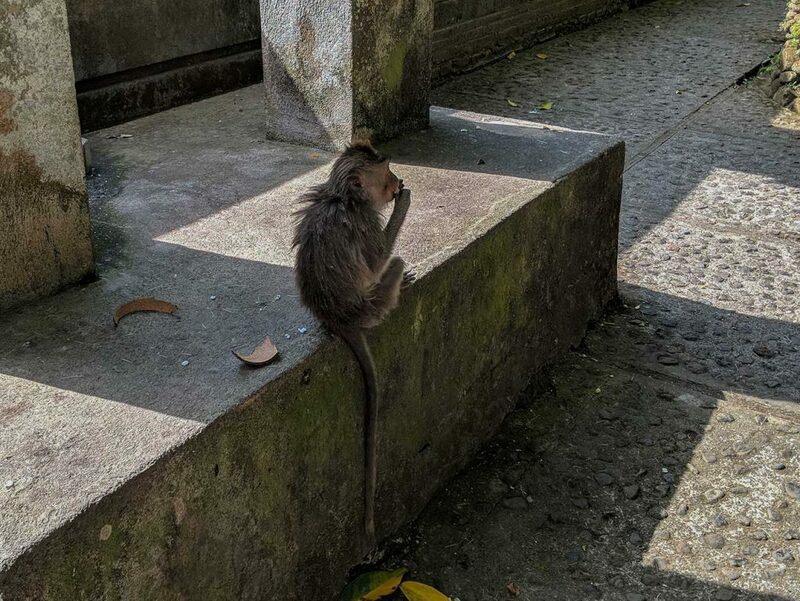 You may also see some monkeys taking part in some reproduction activities. There’s a lovely path that follows the stream and eventually takes you to a temple. If you keep following the stream, the path narrows and you walk right along the stream on some rocks. Watch your step here! 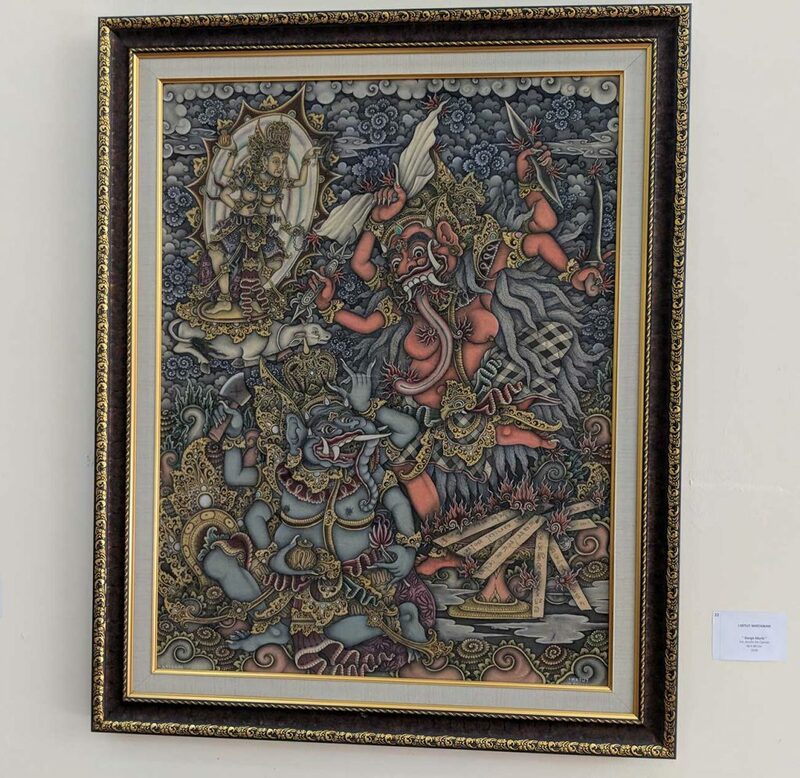 And to our surprise, near the main temple, there’s a local art gallery! You can find it by descending the stairs on either side of the large building across from the main temple. It’s free to check out and houses some really detailed and unique art. You’re welcome to donate or buy a postcard if you would like. Make sure to walk through. It’s not very large and is worth your time! 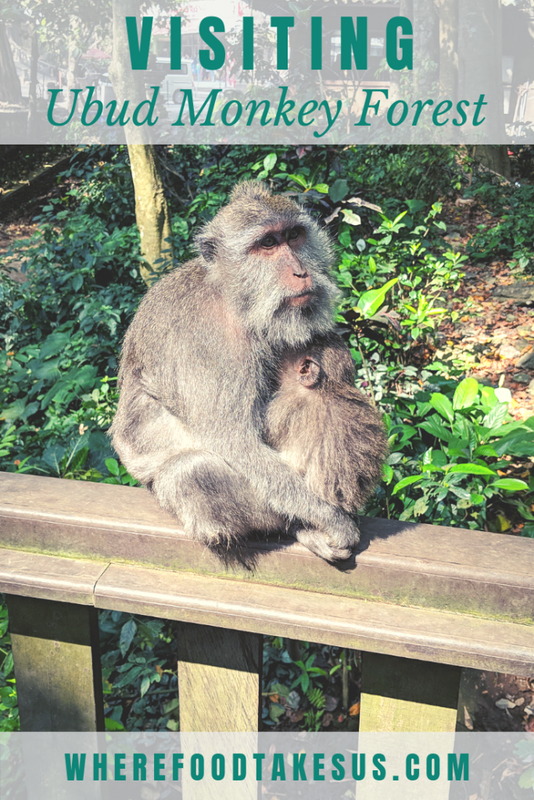 Ubud Monkey Forest is a great place to get away from the noise and seek some nature. And for just over 3 bucks, it’s impossible to say no. It’s definitely a must-see while in Ubud and will make some great memories to take home. 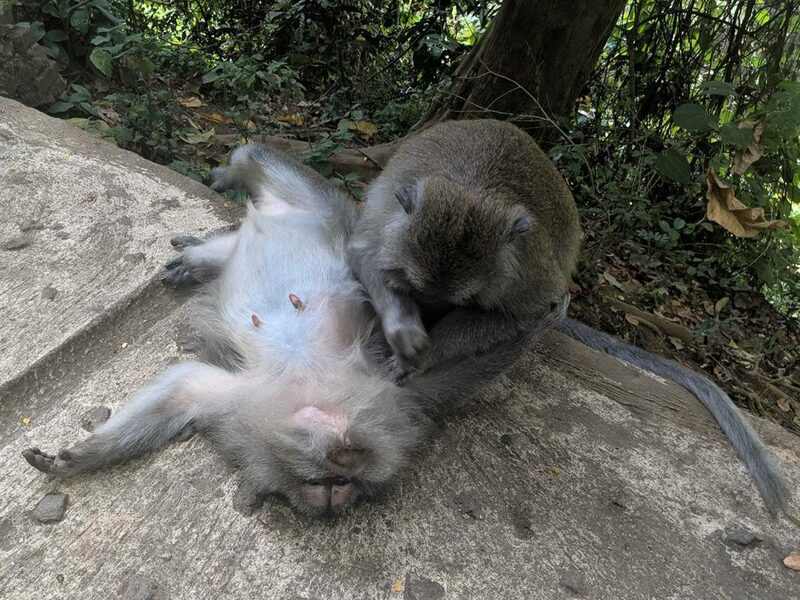 For more info on Ubud Monkey Forest, go here! You most likely won’t be spending your entire day here. Looking for other awesome things to do in Ubud? Check out our post! 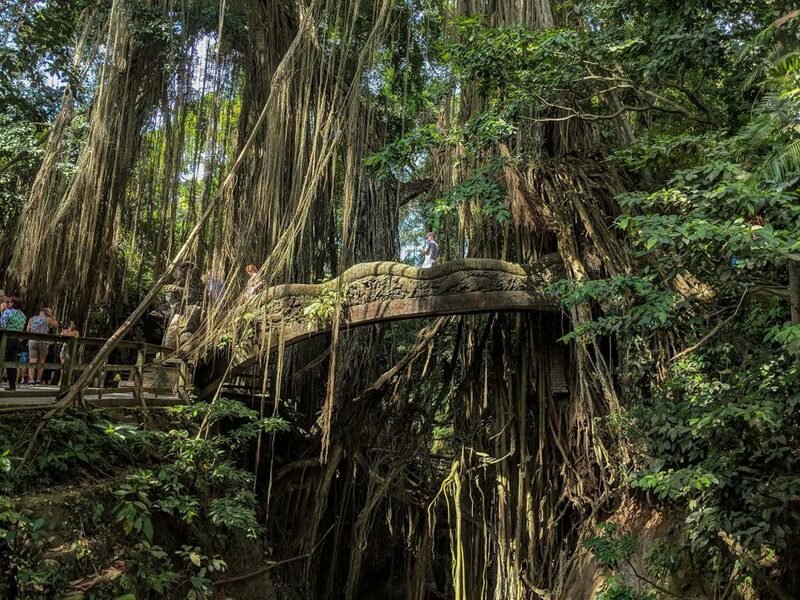 Have you been to Ubud Monkey Forest before? What was your experience like? Let us know in the comments below!